Aviation component and system manufacturers can benefit from implementing social media and other online marketing tactics to engage with customers and prospects at trade shows. In the aviation tradeshow world, most aviation component and system manufacturers find it next to impossible to compete for attention when the likes of Gulfstream or Honeywell dominate the landscape with giant displays and mega events. 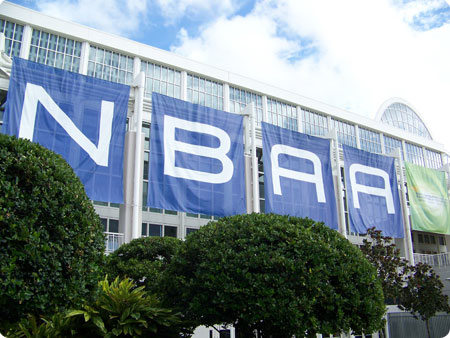 Progressive aviation marketers are integrating inbound and outbound marketing efforts to achieve tradeshow objectives and standout from their competition. Discover and prioritize customer and prospects’ social media preferences — Twitter, Facebook, LinkedIn, Pinterest — and use these channels to spread your call to action for visiting your location at the show. You can also use these channels to identify key prospects by their profile and group affiliations to send personal invitations. Update your Facebook or Google+ page with a calendar or identify an event or breakout session you will be hosting. Create an event hashtag (example – #ABCFlightMRO). Place this on preshow and at show materials. Have a social media team member keep the twitter conversation going by tweeting updates, notable booth visitors, photos, and other informative show content for those in attendance and for those that could not make it to the event. Recap the show with daily summaries and post to content sharing sites. Use QR codes on display materials to engage smart phone users, leading them dedicated landing pages. Make an offer for free materials such as white papers, e-books or other relevant material. Package and repurpose content obtained during the show and send links and summaries to booth visitors and key prospects. Build a database of online visitors and social media participants for use as a prospect list and as an expanded list for the next show. Update social media pages to promote your next event. Using social media extends the reach of your tradeshow presence and provides new ways to engage with customers and prospects.